Jeff Bader and Mark Lee each scored twice to lead the Tacoma Stars Reserves to a dominating 8-3 victory in Bellingham that clinched the Western Indoor Soccer League’s regular season title and home field advantage throughout the playoffs. The Stars Reserves win at the Bellingham Sportplex snapped a home field winning streak for Bellingham United that stretched back to the 2014-2015 season. The Stars Reserves struck first with a goal by JJ Schmeck win 5:08 left in the first quarter. From there, Tacoma built a 6-0 lead, including two goals from Mark Lee, before Bellingham finally broke through with a Kenny Parker goal at the 5:52 mark of the third quarter. Noe Betancourt-Cruz made it 6-2 early in the fourth, but Bader’s second goal and one by Nate Ford just minutes later put the game on ice. Tacoma improved to 9-0-0 with the 8-3 victory. 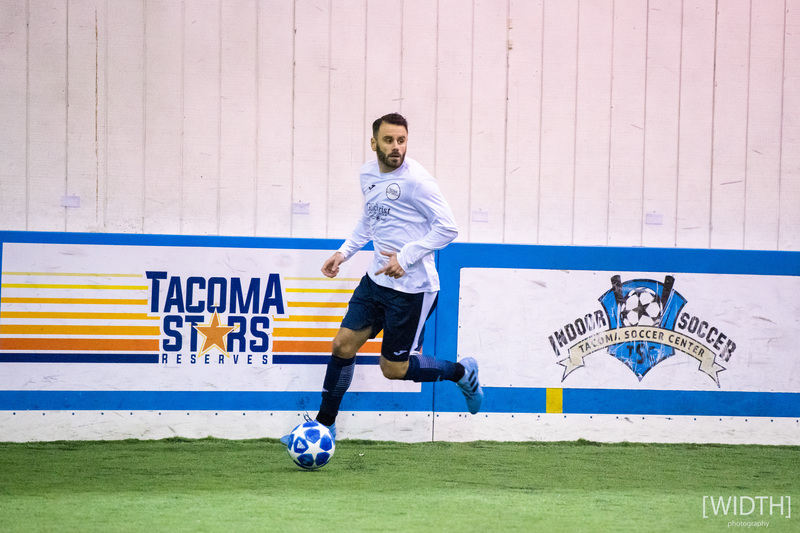 Goalkeeper Mike Arguello returned to the Stars Reserves after missing one game filling in for an injured Danny Waltman for the MASL’s Tacoma Stars and kept the league’s leading scorer – Richard Henderson – off the board. The Hammers were missing two of the league’s top scorers, Uriel Herrera and Christian Caro, from the contest. Tacoma Narrows FC had an opportunity to clinch a playoff spot in their first season in the WISL, but Snohomish threw a monkey wrench into their plans and kept the race for the 3rd and 4th place in limbo with a 7-4 win at the Tacoma Soccer Center. The win moved the Skyhawks into third place with a visit from the Stars Reserves looming while Narrows dropped to fifth place. 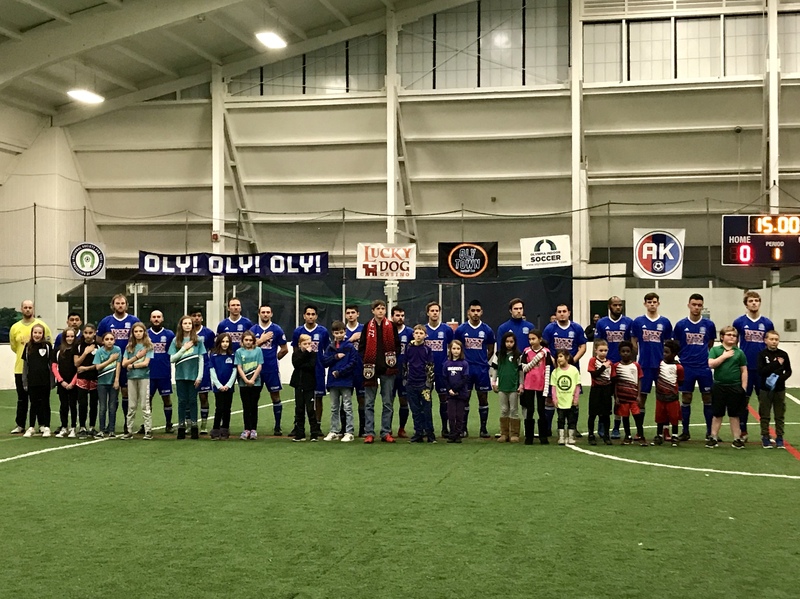 The Oly Town Artesians cut a big Oly-Pen Force lead to just two goals, 8-6, early in the fourth quarter, but the Force buckled down, took advantage of a key power play, and pulled away for a 12-7 victory that moved them into fourth place with one game left to play. In the Oly/Oly matchup, it was Collin/Colin that got it all started. Collin Tate opened the scoring for the Artesians, giving them a 1-0 lead, before Colin Ralston tied it up 1-1. That sparked a four goal first quarter and a seven goal run into the third quarter. David Meherg scored twice during the run that put them up 7-1 with 7:39 left in the third. The Artesians fought back, starting with a goal by Sasa Yodkerepauprai at the 6:57 mark of the third, Pugh’s first with five minutes left in the third, and then a three goal run over the first three minutes of the fourth quarter that cut the Force lead to two, 8-6, with 12:53 left. Christian Segovia opened the scoring in the fourth with a goal just 30 seconds in, and then Chris Pugh added another 30 seconds later. Segovia scored his again a minute later, but the Force stopped the bleeding on an Alex Hernandez strike with 11:56 left and then took control with a power play goal by Jaisen Zurfluh. They would add two more on Artesians blunders and improved to 3-5-1 with the 12-7 win.